Nearly three decades after its inception, Raymond Weil`s iconic parsifal collection returns this autumn 2018. First launched in the early 90’s, this heritage range for him and her has been reimagined by the Swiss watchmakers, adding a modern twist in time for gifting season. Inspired by Richard Wagner’s last opera, this revisited collection of men’s and ladies’ timepieces are the perfect accumulation of horology, classic aesthetics and accessible luxury. 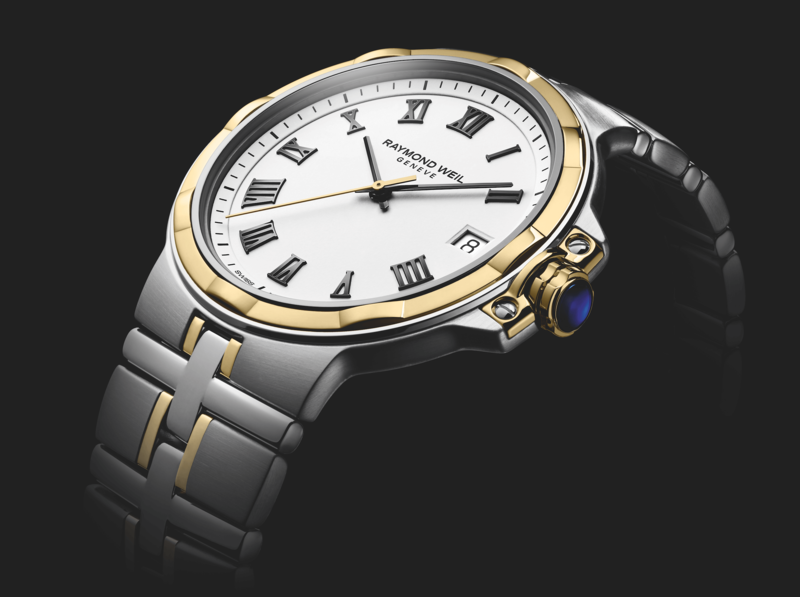 Raymond Weil shows in the new parsifal once again its deep attachment to its roots, and desire to preserve tradition as a source of inspiration – while, at the same time, refining the key design elements such as the curved outlines and cross link bracelet which have forged the identity of this symbolic collection. More key features include the gadroon bezel, classic two-tone steel and Roman numeral detailing. With a contemporary matte white dial, the crown is embellished with blue lacquer, adding a subtle pop of colour to the design. Raymond Weil offers different versions of the new parsifal. The four men’s models all come with roman numerals, but different dials: black, blue or white with cases made from stainless steel and one in two-tone steel with a white dial. The ladies’ parsifal comes in six different versions: Some are equipped with diamonds instead of roman numerals and there are two watches sporting a beautiful mother-of-pearl dial. 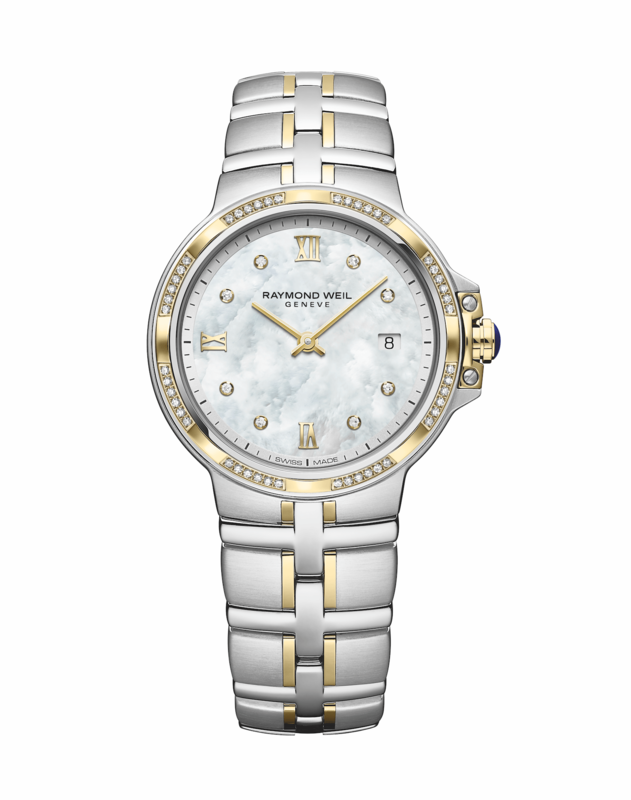 And, as if that wouldn’t be enough, Raymond Weil also offers two watches with diamond stubbed bezels. How could one not be wooed? The parsifal comes with a diameter of either 41mm (the men’s version) or 30mm (the ladies’ version). Inside a swiss made quartz movement provides the necessary power. The ladies’ models only show hours and minutes, the men’s models also show seconds. Both versions also have a small date window at 3 o’clock. The parsifal watches are not only a great to give for your significant other, they are also excellent for couples.